In it’s heyday the population of the diamant mining town of Kolmanskop consisted of nearly 1200 residents from some 700 families of which a large amount Owambo contract workers, 300 German adults and 40 children. Kolmanskop remained inhabited until the mid fifties, the last inhabitants left in 1956. Within a timespan of almost 40 years this bustling town in the Namib Desert lived, flourished and died. All these years the inhabitants had fought the harsh environment, endured high hot winds and sandstorms but now nature started to take back what was hers in the first place. With no one there anymore to clear sand from the houses it soon piled up as high as windows and roofs. 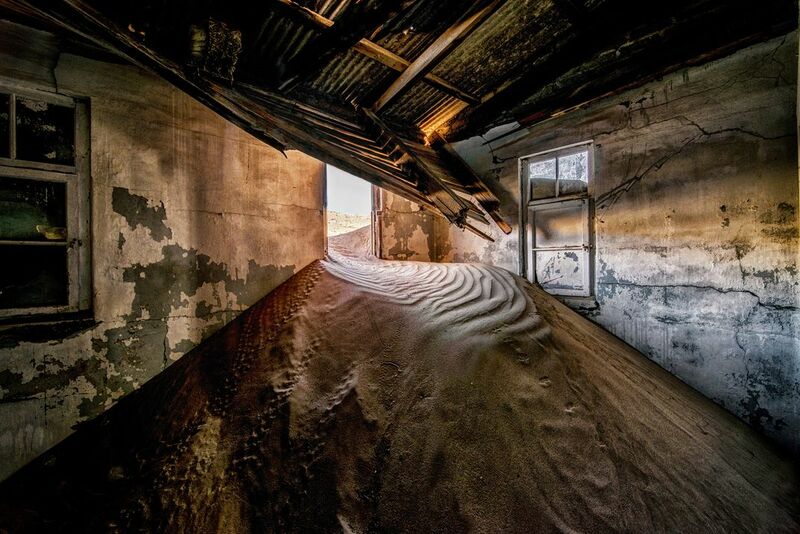 Mother nature turned it into her playground, covering complete buildings and let others emerge after a while. Kolmanskop turned into a ghost town. Date Uploaded: Nov. 27, 2016, 2:25 p.m.